The most amazing thing that happened in 2015 on this blog, and in my life, was the birth of my dear Little Lion. He was born on March 23rd. 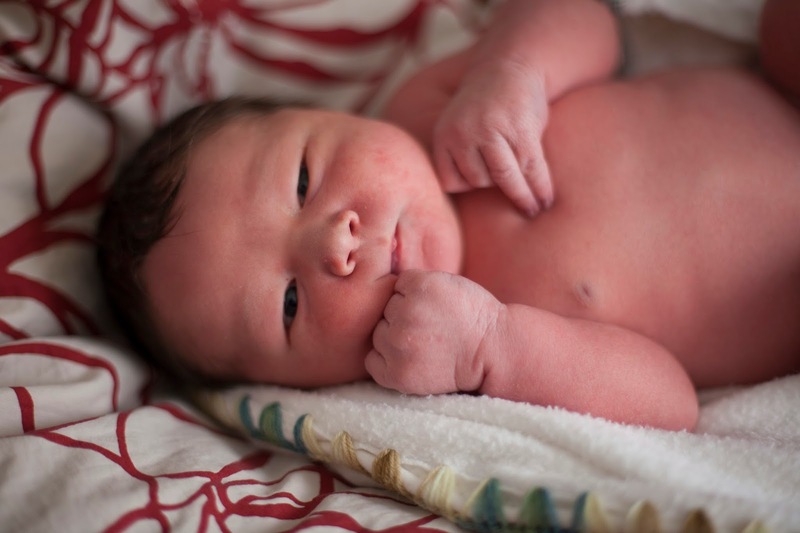 You can read his birth story here. I am still feel incredibly joyous and blessed that he is in our lives! 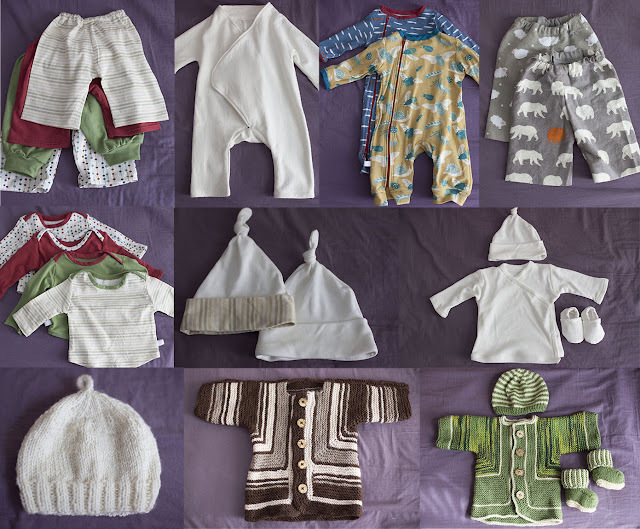 Baby Layette, Newborn Hat, Spring Green Baby Surprise Jacket, Purlbee Green Striped Hat, Autumn Street Baby Ugg, Zippered Baby Sleepers, Purl Bee Fleece Baby Jumpsuit, Bamboo baby blanket with crochet edge (not pictured). One extremely significant event in my sewing life this year is that I got a NEW sewing machine. I have never, ever had a new sewing machine, always hand-me-downs. Not that I'm complaining... my old Singer served me well, and I'm very grateful to have had it, or I may never have even ventured so far into sewing. My Janome 8077 is AWESOME. It is nothing fancy, but it makes so many of the things that drove me nuts just go away. I had to employ every workaround in the book to sew thin fabrics without getting them sucked into the faceplate, and I could never get an even zig-zag... all of that just WORKS on the new machine, making my sewing even more satisfying. And of course there were Halloween Costumes... THREE this year. That was a bit much! I would promise to exercise restraint next year... but I'm not at all sure I would abide that promise. 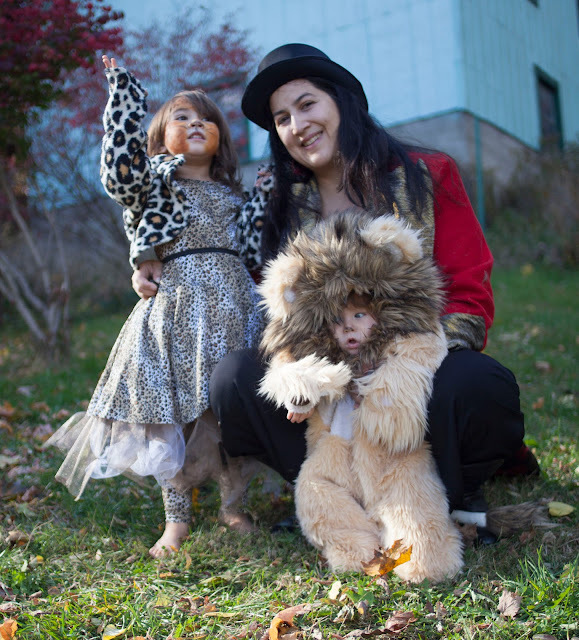 Little Lion's Cuddly Lion costume was a finalist in the Threads 2015 Halloween contest. I never heard who the winner was, does anyone know? My makes for myself are nothing to compare to sewers who can truly concentrate their efforts on their wardrobes, but not bad considering that I had a newborn in the house this year! Dragonfly Linen Dress, Dot Shibori Anna Dress, Floral Flora Dress, Prana Sport Top, Polka Dot Bombshell Swimsuit. 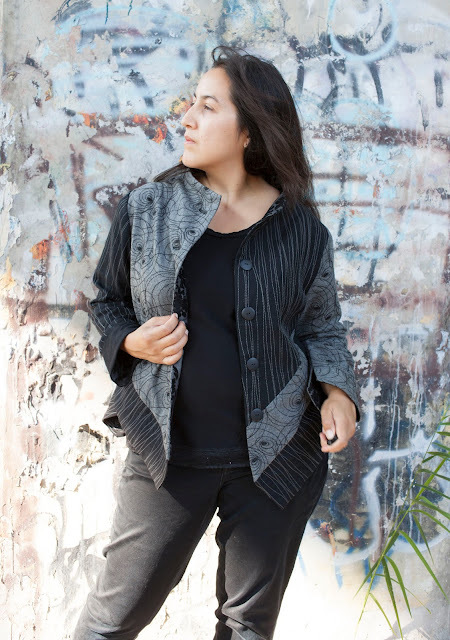 In addition, I also made one jacket this year, and it won the Marcy Tilton Jacket Sew Along. Getting the call from Marcy herself was incredibly special! Refashioning hasn't previously been a large portion of my sewing production, but I've started to get back into it for both the sake of economy and because there are textiles readily available in RTW that are just hard to come by even with all of the online resources available to sewists. Making a piece for Portia's Refashion 2015 got me started. I actually have a number of unblogged makes in this category, perhaps coming soon. 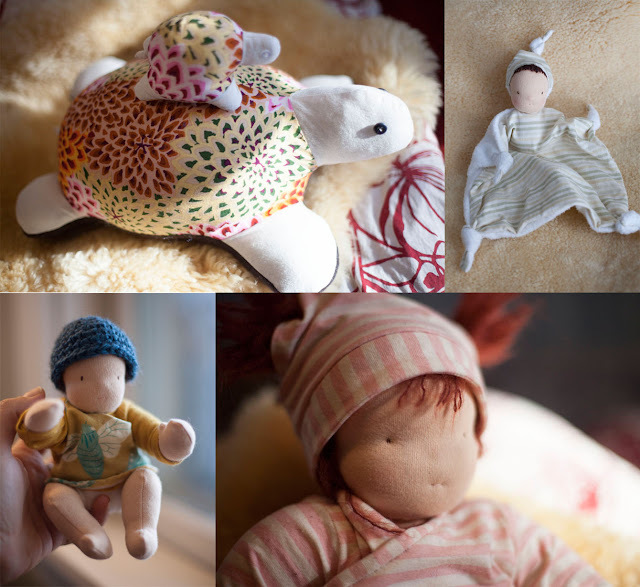 And then there were other crafty non-sewing things. I explored natural dyes, first with Easter Eggs, and then with cookie decorating. I love the results... I find the colors much more appealing aesthetically than the overly bright synthetic kind. I definitely think I'm going to have to get into dying fabrics... these are the colors I want to be wearing! Also included below is the down quilt since it was a huge project this summer. The advent calendar was a little project that had a huge effect on our family... Little Bug loved it, and I think it really helped her to get into a good mindset during the holidays.